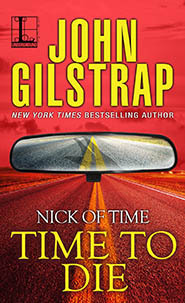 In the fourth electrifying installment of John Gilstrap’s five-part novel, a desperate manhunt for two reckless lovers takes a dangerous turn—heading straight for a dead end . . .
Nicki Janssen is no longer the innocent little girl her father thinks she is. She’s a wanted criminal on the run—with a convicted killer she thought she could trust . . .
Brad Ward knows he can’t outrun the cops forever. But it’s too late to stop now. With Nicki’s life and health at risk, he’s got no time to waste—and nothing left to lose . . . Speeding away from the scene of a brutal robbery-murder, the lovers manage to stay one step ahead of the law. Nicki’s father, Carter Janssen, teams up with Deputy Sheriff Darla Sweet to follow their trail across North Carolina. But when Alex and Nicki hijack a car—and take two hostages with them—all bets are off. All stakes are raised. And all roads lead straight to danger . . . 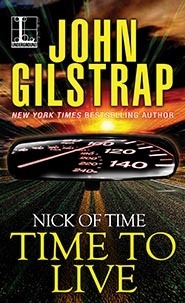 In the explosive conclusion of John Gilstrap's five-part novel, the high-speed pursuit of two fugitive lovers kicks into overdrive--on the ultimate collison course with destiny . . .
After plotting their escape, evading the police, and witnessing a murder, Nicki and Brad have reached the end of the line--and there's nowhere left to hide . . . Holed up in a house in a North Carolina fishing village, they've run out of time, run out of luck, and run out of options. All they've got are a couple of hostages . . .
Two innocent people--a feisty senior and her grandson--are the bargaining chips Alex needs to buy more time. But Nicki can't wait any longer. Her life is in jeopardy, and her father is desperate enough to do anything to save her. Deputy Sheriff Darla Sweet is finding evidence that could change everything for the young lovers. But when every second counts, the only real justice comes in a hail of bullets. . .